Kacheras are one of the five articles of faith for Sikhs. 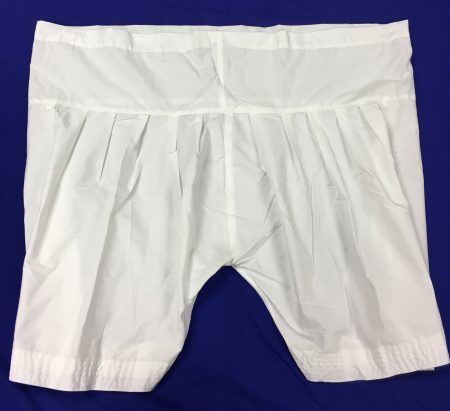 They are a cotton undergarment worn knee length, which symbolizes dignity, modesty and honor. From a practical health perspective, kacheras create a pocket of air around the thigh that balances minerals in the body — specifically calcium and magnesium. Wearing kacheras keeps the circulation strong and the nervous system in balance by maintaining the Ida and Pingala nerve channels in the second chakra. The Indian style features a nala, or drawstring (although elastic is an option), which was originally given as part of this yogic technology. The symbolic gesture of tying the string in a knot reminds one of their purity, chastity and grace and, outside of marriage, to view each male as a brother, uncle, son or husband and woman as sister, aunt, wife or daughter. There are two different styles. The Indian Kachera has a nala (drawstring). The Kachera with elastic (the “American” version) is worn closer to the body. The Kachera with elastic is currently the only style available. 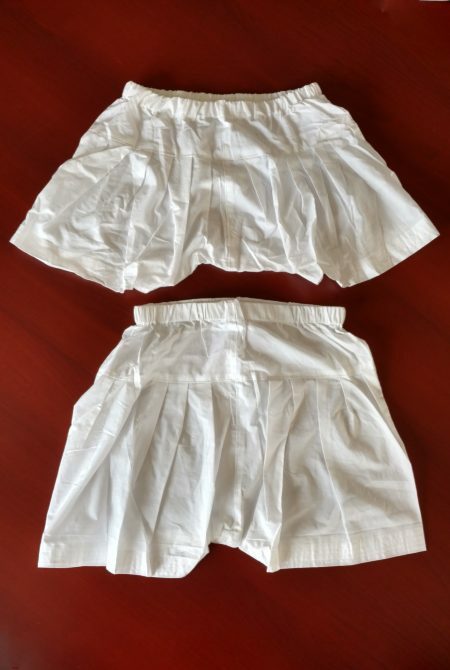 The two sizes in the picture to the left are Small and Medium. The picture below displays X-Large.